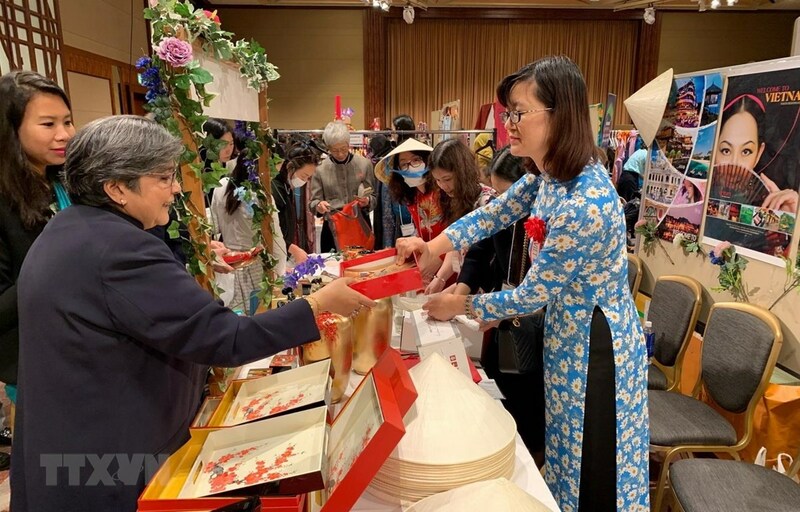 The Women’s Union of the Vietnamese Embassy in Japan participated in the 43rd annual Asia-Pacific Ladies Friendship Society (ALFS) charity bazaar held in Tokyo on Wednesday, where they introduced Vietnamese goods to Japanese customers. The union used its kiosk at the fundraiser to introduce traditional Vietnamese foods and handcrafted goods such as silk, gemstone ceramics, and embroidered paintings to dozens of interested customers, according to the Vietnam News Agency. 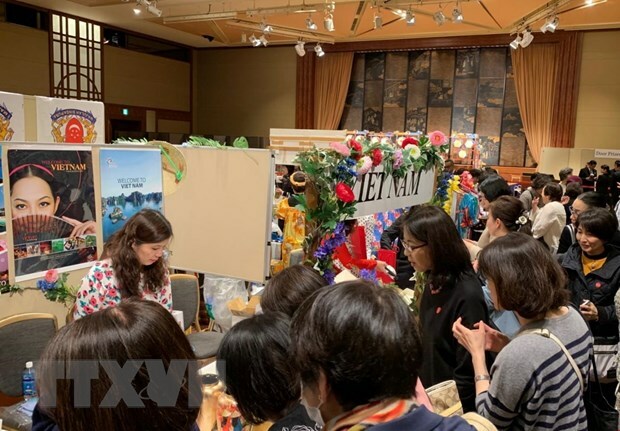 The Women’s Unions of Tokyo-based embassies of ALFS member nations, alongside other event sponsors, raised funds by selling artisan goods and traditional dishes representing their respective countries. The charity bazaar is one of ALFS’s most prominent annual activities, notable for the its continued success in raising funds to put toward helping and rescuing women and children in countries throughout the region. Representatives of the Women’s Unions of the countries with diplomatic missions in Japan, along with the spouse of Japanese foreign minister Toro Noko and other wives of high-ranking Japanese officials, attended the event to show their support for its noble cause. In 2018, Vietnam received JPY1.3 million (US$11,700) from ALFS to build purification systems for two elementary schools in polluted areas of the north-central province of Ha Tinh, as well as for the support of children from poor households in Vietnam, according to the Vietnam News Agency. This year, similar funding from the organization is expected to be allocated for water purification systems for several elementary and middle high schools in the central province of Quang Nam.